Scarlett Moffatt has confessed she is “gutted” about her family being dropped from Channel 4’s Gogglebox. Scarlett Moffatt’s departure from the show reportedly resulted from her expanding her television career in different directions. The reality star became Queen of the Jungle after winning I’m A Celebrity…Get Me Out Of Here! last year and continued to pick up a number of television gigs thereafter. An insider told the Sunday People newspaper: “The whole premise of Gogglebox is normal people commenting on the TV. Unfortunately, this means the entire Moffatt family will now be dropped from the programme. 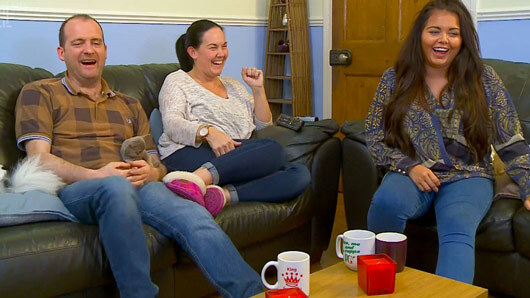 Although the Moffatt’s will be greatly missed, we are still excited for Gogglebox to make a return this Friday for a ninth series, and watch all our favourite families commentate on the latest television highlights from this week. Gogglebox returns Friday at 9pm on Channel 4.